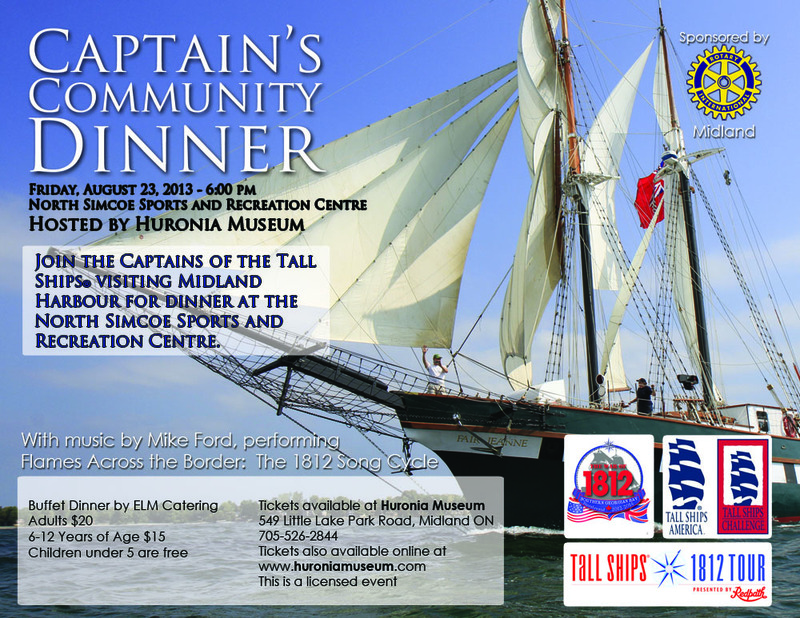 Friday, August 23, 2013 at North Simcoe Sports and Recreation Centre. 6:00 PM. Buffet dinner by ELM Catering. Adults $20, children (6-12) $15. 5 and under FREE. Tickets available at Huronia Museum. You can also buy them ONLINE (Click here for Adult tickets, or here for Youth.) For more information call the museum at 705-526-2844. Huronia Museum would like to thank the Rotary Club of Midland for their generous sponsorship.